With a little tweaking of the initial trap design, the Spring Arcanum now doubles as a very convenient and powerful yolk extractor! Great kitchen cooking aid and mousetrap, all in one! The Spring Arcanum Skin can be used on the Grand Arcanum Trap. The trap's stats (power, power bonus, attraction bonus, etc.) are not changed. 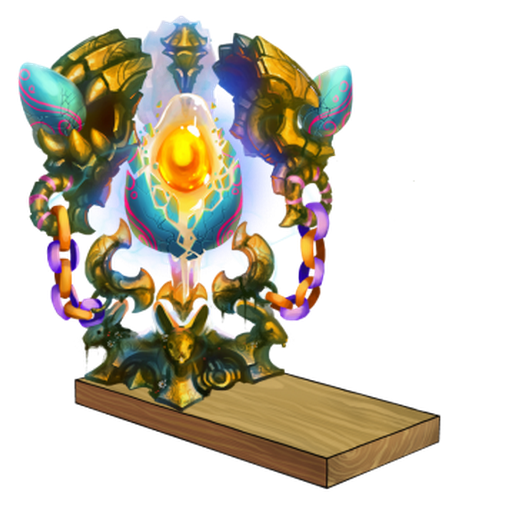 The Spring Arcanum Skin may be made available during the annual Spring Egg Hunt event and can be traded on the Marketplace or through Give To Friends. 15 April 2014: The Spring Arcanum Skin was released as part of the Spring Egg Hunt 2014. This page was last edited on 9 December 2017, at 15:17.